ashlee nicole spills | blog: Founding Director of St. Aug's Band Dies. 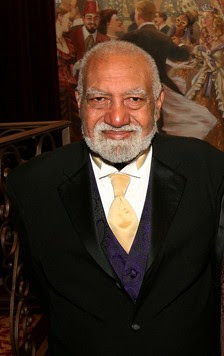 I was saddened to hear about the passing of Mr. Hampton, founding director of St. Aug's Marching 100 Band. Even though I didnt attend St. Aug [duh], i know a lot of people who did and can say how much he has touched their lives, especially band members. In high school, I heard a lot about him. Everything was "Mr. Hamp this," "Mr. Hamp that," or "Mr. Hamp don't play!" LOL. Mr. Hampton died at the age of 81. Read more on the life of Mr. Edwin Hampton here.